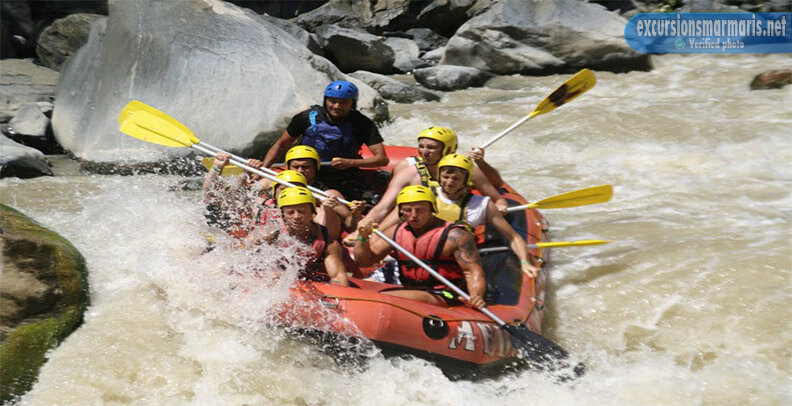 Do you like extreme kinds of sport? 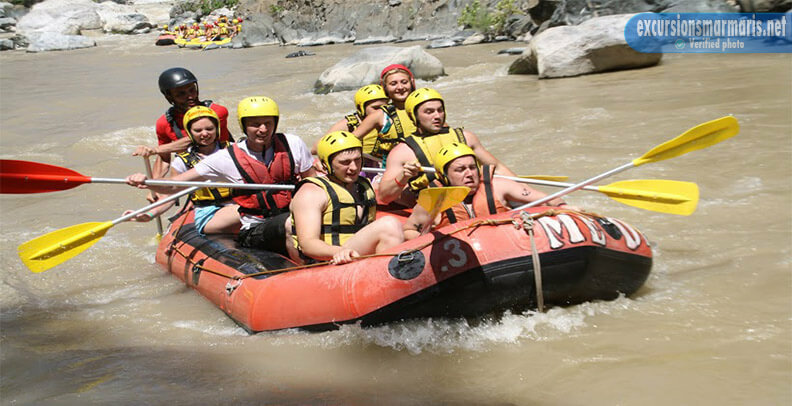 If yes, we are ready to invite you to participate in Marmaris rafting adventure. 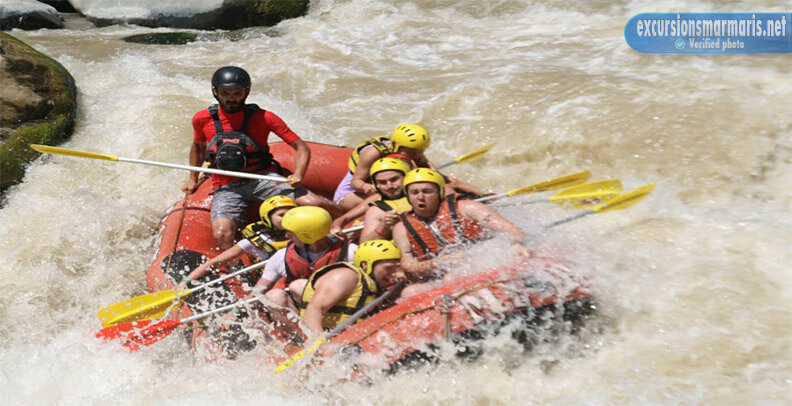 The trip to the river of Dalaman takes two hours. Don’t be afraid of the activity. It is absolutely safe. 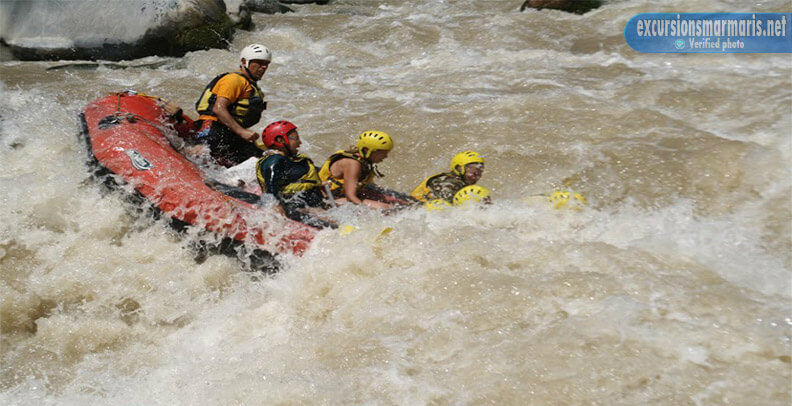 All in all there are six rapids in the river. 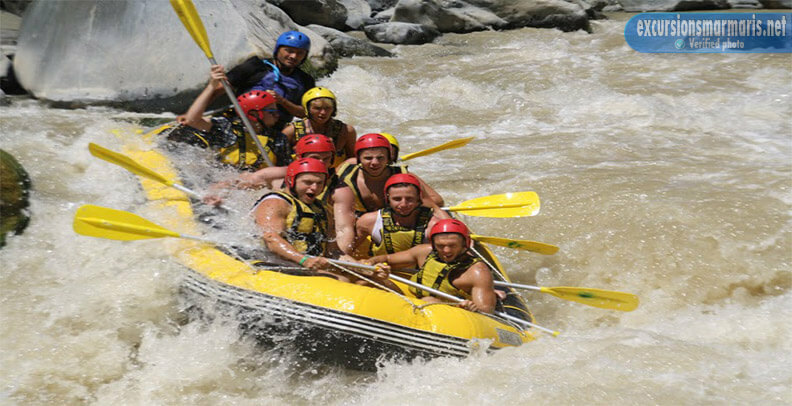 We use rapids of the third grade. 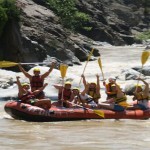 The duration of the activity is about eleven hours, three or four hours you will spend in the river. After rafting our clients are given a very tasty lunch. We organize a transfer for our clients. We start at 7.00 – 7.30 in the morning. 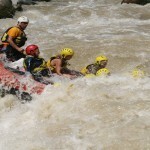 It will take us about two hours to get to the centre of rafting. There you will be given special suits. We will take jeeps and go to the banks of the river. We have professional instructors. They will explain you how to behave in the water and will show hot to paddle. We finish our trip at about 7.00 p.m. And we give you a lift to your hotel. It is recommended to take towels, dry clothes and sun screen. 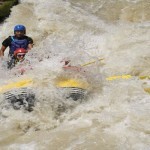 The river of Dalaman is very beautiful and clean. There are small waterfalls, cliffs and other natural wonders. 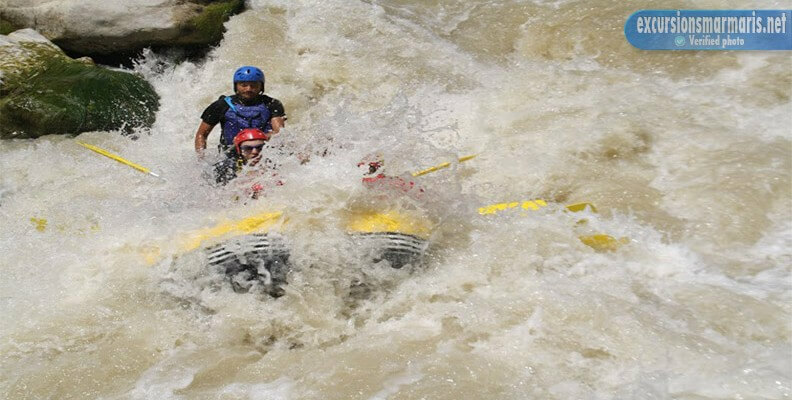 Rafting is not hard at all. 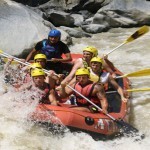 After crossing the first rapid you will understand how to paddle in a proper way. Also we organize breaks and you can relax. If will not be tired, do not worry! 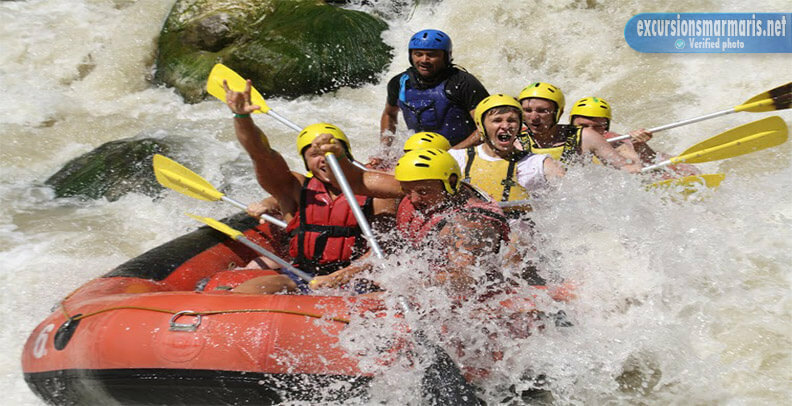 Rafting is a team activity. 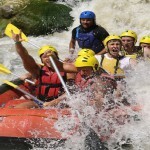 If a team works properly, rafting will give you a lot of pleasure. 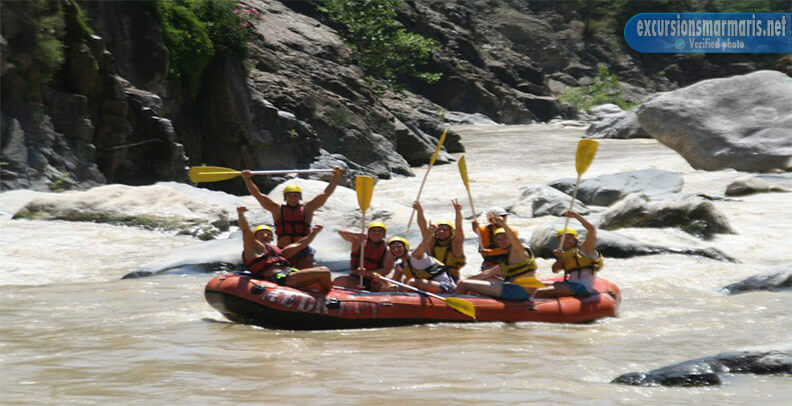 At the end of the activity you can have a swim in dewy waters of the river. When you finish the activity, you will be given a very tasty traditional lunch. And then we organize a transfer to your hotel. 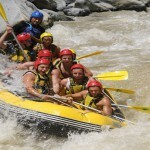 Do not miss a chance to get a good portion of adrenalin and positive emotions!